The band announced the charity in February. It is dedicated to assisting and enriching the lives of the members of the communities by supporting workforce education, the fight against hunger, and other critical local services. At launch-time Spotify and Starbucks announced they would donate $1 million between All Within My Hands, Chance The Rapper’s Social Works, and Lady Gaga’s Born This Way Foundation. Metallica’s community work includes the Bridge School Benefit Concerts (appearing three times), the MusiCares MAP Fund benefit concerts, Live Earth, Global Citizen, and most recently Band Together Bay Area. The band has donated proceeds from ticket sales and album releases to various charitable organizations, including Fondation de France’s Give For France and Gilda’s Club NYC. 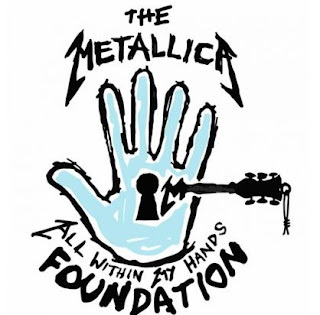 Additionally, Metallica has met extensively with Make-A-Wish participants and supported local food banks around the world. Lastly, the band launched a partnership with Crowdrise encouraging fans to donate through their site for the chance to win tickets, meet & greets, access to pre-show parties and snake pit passes, and more.